The Low carb-high protein diet has been around for a very long time. But it was made insanely popular by Dr Atkins, the proponent of famous Atkins diet. Many people swear by this diet and vouch that it is easy to lose weight when eating according to the principles of this diet. Yet there are people who feel that this diet did not do much for them. Have you ever tried the low carb diet? Did it work for you? If you have not been able to lose weight with the low crab high protein diet, here are a few possible reasons that you might want to read about. - You need to eliminate even more carbs. Some people are more carb sensitive and if you are one of those people, you need to restrict yourself to less than 50g of carbs a day. This will effectively remove most fruit from your list of edible food items. - You are just measuring the weight. But what you need to measure is your size with a tape. If your clothes feel looser than before, you are losing fat and possibly gaining muscle (if you workout too). But the scale will not show any loss! - You are overdoing the nuts. Even though they are counted as healthy fats, they are very calorie dense and overeating on nuts can be a weight-gain mechanism! - You are overdoing the healthy foods. Another issue with overthinking your diet. When removing carbs from diet, replace with actual real food like eggs or salmon. - You are too stressed or not getting enough sleep. - You have a medical condition like insulin resistance or PCOS standing in your way. - You are being lazy! 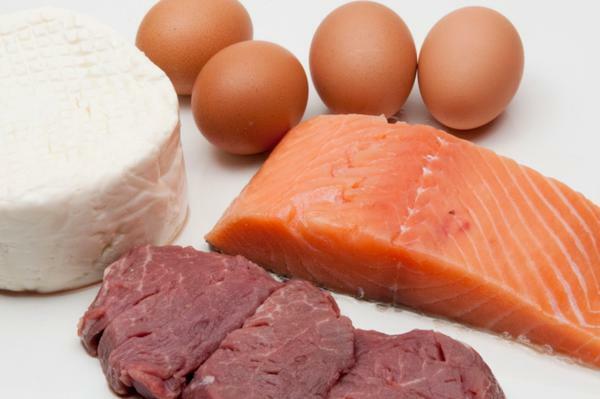 Even a low carb-high protein diet will work only if it is aided with some form of regular exercise. Giving up Carbs to Lose Weight - Good for You?